We were driving down the cost of motoring and beating the fuel price rises for last week's Finance Fridays. 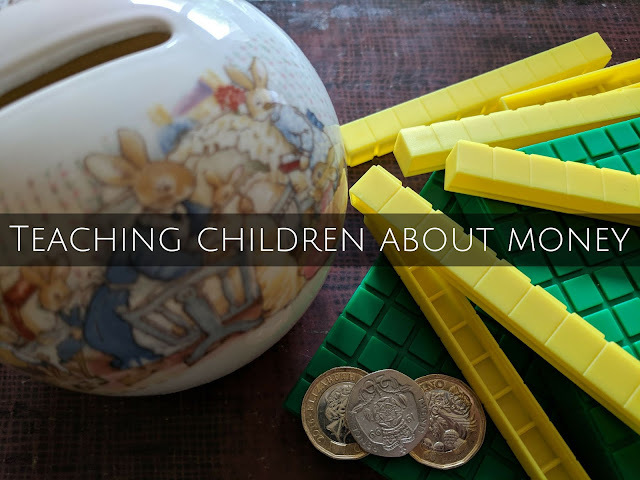 This week we are focusing on children and what they know about money. Many feel that schools should teach children more about money but with such a packed curriculum I'm sure they would struggle to fit in in-depth personal finance lessons. As always the best way to give your children important life lessons is to teach them yourself. You can start at a very young age and it doesn't need to be structured lessons but helping them out in every day situations. Point out prices in shops – Get them to recognise numbers and values. They can then see that the groceries have different prices. Give them their own purses or wallets – If they have somewhere to keep their own pennies and pounds they will feel more responsible for the money. They can also check how much money they have. Let them hand over money in shops – This helps children feel connected to money and what it is worth. If they see the money going out of their purse or wallet they will learn the value of it. Say no – There will always be someone else who has something your child wants. It could be their parents are wealthy or possibly very deep in debt. Trying to keep up with the Joneses will always land you in a financial hole. If children learn early they can't have everything they want they will value what they do have more. Give regular set amounts of money but don't supplement it – Children need to know how to budget and save for things. If they spend all their money but you top it up or buy them things instead they will always think there is a financial safety net. Open accounts for them – First accounts can be trustee accounts controlled by yourself. Usually these accounts will be savings based ones. You can show your child the money being paid in and discuss what they think it should be used for. From around the age of 11 most high street banks offer accounts for children to control themselves. They won't be allowed to go overdrawn but it will be a good introduction into financial management. If you want to join in with this week's Finance Fridays then add your link to the linky below. Any post concerning financial matters is allowed. Full details here. It doesn't have to be published today as you have until 23.55 on Tuesday 19th June 2018 to join in.